I’ve been practicing hatha yoga since I was a young teenager (almost 20 years now!) and teaching yoga and mindfulness for the past decade. 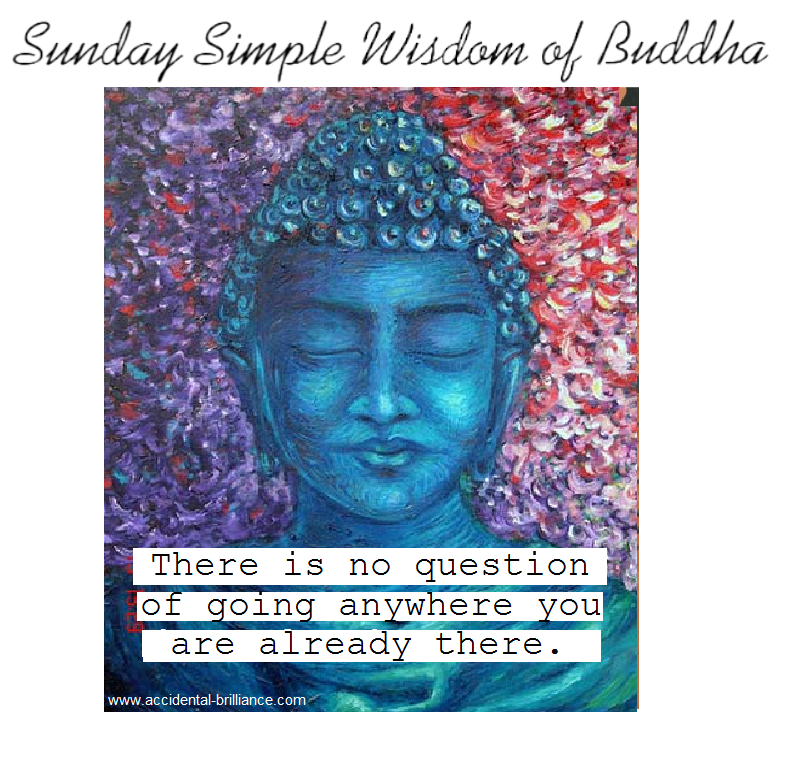 I started a Buddhist meditation practice in 2004 and have absorbed more and more of the Buddhist teachings through reading and practicing over the past eight years. I’d had occasional glimpses of the selfless state, but they were few and far between. I was eager to pierce the illusion, drop delusions and live presently… something I’d been doing with increasing consistency, especially over the past three years of living abroad (in Guatemala) and integrating my spiritual practice into my daily life. But I needed a push. At the ideal time, I stumbled across the story of fellow Elephant Journal blogger, Lori Ann Lothian. Her personal chronicle of liberation after an overnight “awakening” peaked my interest in the possibility of illumination to the illusion of self sooner than later. I linked from her blog to a website called Liberation Unleashed and soon read the e-book, Gateless Gatecrashers: 21 Ordinary People, 21 Extraordinary Awakenings by Ilona Ciunate and Elena Nezhinsky. guide the seeker to pass through what is often called the ‘Gateless Gate’ or in classical terms, Stream Entry to Enlightenment or Truth Realization, [using] the Direct Pointing method, which consists of a dialogue between a guide and seeker. The guide poses very specific questions in order to focus the attention on the seeker’s experience of the present moment. This triggers the awakening insight often referred to as ‘seeing no-self’. I was a bit skeptical but figured I had nothing to lose. (Astonishingly, there is absolutely no cost to subscribe.) Seekers may enter into a one-on-one dialogue with a guide, either via private discussion board or Facebook group. One of the co-authors of the ebook, Elena (EN), replied to me (MF). I share excerpts of our dialogue here, with the hope that it may be of benefit to you! EN: Welcome, Michelle Fajkus, great to hear your story! Simple question for you here: what is “I” for you? What is it that you call self? Describe. MF: “I” is my ego, my identity in society. “I” am a teacher, a yogini, a friend, a daughter, etc. Self is that entity known as Michelle Fajkus who appears to be functioning in society and daily life… waking up, working, breathing, writing. But it’s an illusion covering the truth of interconnectedness. MF: “I” do not exist. “I” am no more real than my facebook profile… just a collection of colors and concepts that cluster together to create the illusion of Michelle. I get this intellectually but the gut-level understanding comes and goes. It feels like I am pulling away subtle layers of delusion… but I’m still somewhat involved in the storyline of “me.” In looking around with this new perspective, I see how pervasive the concept of “I” is in pop spirituality. It feels liberating to even begin to lift this veil! EN: “I get this intellectually but the gut-level understanding comes and goes.” Realizing the truth is not a feeling in a gut or in a head, it’s life lived out of the understanding that Life is all there is, no separate I, just an illusion, and in whatever form it may be. So when you say “understanding comes and goes” — that is how life is unfolding itself. So nothing needs to be improved in the understanding. The only what needed is clear seeing of what is. So if you look right now, can you tell me what is missing? MF: The only thing that is missing for me now is the acceptance of zero control. This quote from poet Wendall Berry came to my inbox this morning: “You can’t know where life will take you, but you can commit to a direction.” The first part is fine (“You can’t know where life will take you”) RIGHT, because there is NO YOU to know. The second part is problematic (“but you can commit to a direction.”) I still feel this to be true, and I am clinging to the desire for it to be true, that my “character” can commit to a direction in “her” life… Even though it cannot be if there is no self to commit to a direction. EN: so how do you experience the “issue of control”? how does it feel in the body? what are sensations? thoughts? MF: It feels like clutching to something I’ve been told/learned — that I am an American and I am responsible for taking action and making good decisions that direct and “manifest” my life as desired. Tense neck and shoulders. Thoughts are of anger, irritation, impatience. A few times over the past few days there has been clarity and tears of gladness at the truth of the illusion of self. EN: When that tense neck, shoulders and anger and impatience come up, look right there into the physical tension and the strong emotion. There are corresponding thoughts there that evoke the body go into contraction. Let’s do this. Invite all the tension and feelings closer, even closer. When you feel like it’s all over you, peek behind the anger, look behind all the tension. I want to hear what is there, honey. If you can’t look behind, call it to come closer; no worries, nothing will happen, but we are used to stopping feeling just at a safe distance, therefore we are like a witness constantly. Let it engulf, let it ripple in the body so you are lost, you are confused, you are one raw gobble of feeling. Then you quietly ask the tension what it is here to protect. Then listen. Breathe steady and be quiet. Listen to what will surface in the mind. Let me know what came up for you. MF: On Friday morning, I lost my temper with one of my students. The anger came because I felt disrespected. My ego was attacked, and my image as a calm, collected teacher was ruined. It took me a whole day to let go of the irritation and subsequent neck tension, even though when I looked behind the anger and the superficial offense, there was absolutely nothing. As I traveled through various airports later that day, looked at strangers and saw us all as expressions of universal energy. Now I’m in my hometown for the weekend, because a friend died recently. My best girl friend was very close to the deceased, and she is so identified with her “self” and suffering so much as she clings to every memory and possession of her dead friend. I’ve been talking to her about no-self and universal energy. Noticing direct experience and not taking things personally. There is no desire to drink or smoke, which is unusual, especially under the current circumstances (grieving, being around my Catholic mother, being with friends who are using). There is only the flow of moments and the diverse surprises each one brings. EN: So what is still missing? Be very honest. Describe in detail, if needed. MF: Apologies for the delay. My life has changed in a more dramatic way than ever, as I found out (on April 29) that I am pregnant. Or, I should say – pregnancy is happening. This morning I finished reading Gateless Gatecrashers. I feel that much of the time I am able to see through the illusion of self… though there are still moments when my ego lashes out. Overall though, this experiencing of each present moment without the addition of a self needing to do anything is super helpful right now, as a flood of overwhelming emotions and sensations overtake this physical body. 1. You said: “though there are still moments when my ego lashes out.” What does it really mean? Do you feel not awakened at those moments? Please elaborate on this. 2. Describe in a simple words to somebody who is searching what is awakening is. ‎3. Do you feel liberated? Tell in details. 4. What comes up if I tell you “You do not exist”? Read it, feel it, look at this phrase, look and tell me. MF: Thank you so much, Elena. Here are my answers. 1. The moments when my ego lashes out, I do not feel awakened. It’s like my mind is clinging to an old storyline and fears letting go completely of my identity. Behind the fear is emptiness but nevertheless it happens (for example, when I am in traffic and get ‘road rage’) but it is seeming to happen less and less frequently. 2. Awakening is plainly and simply seeing through the illusion of having a separate self. It is experiencing the flow of life from moment to moment without attaching to our judgments, stories, fantasies or any of our fleeting thoughts or emotions. Liberation is available to everyone, because it is just a matter of being what we already are. 3. And yet… I do not feel liberated. I think I am stuck at the gate. I accept and am grateful for the truth of no-self, but I am still living 50% of the time from my limited ego view and I don’t know how to get unstuck. 4. When you tell me I do not exist, there is pure relaxation, gratitude, joy and utter trust in the flow of Life. Resistance melts away. EN: you are talking a lot about ego. At the same time you are talking about flow of Life is all there is and seeing that is an awakening. Is there ego and egoic self outside of the flow of Life? EN: So when the ego arises, what happening to Life? Life disappears, Life becomes less, Life becomes more? What is happening? MF: It feels like life constricts… gets narrower… less spacious and not enjoyable. EN: Life not enjoyable for whom? Is there anybody outside of Life? MF: Oooh, good question. Life is not enjoyable for ME — the fiction of me — only when I believe that fiction to be fact. There is no one and nothing outside of Life! No self, no suffering. EN: what is egoic self you mentioned? do you suffer from it? MF: The egoic self is the separate, individual identity… Which is an illusion. I can’t compose this sentence without the word I, but I think I made it through! EN: Are you liberated, Michelle? Go ahead and write more. MF: It’s so subtle, but I think so. Liberation is here. Your last question… “life not enjoyable for whom?” helped push me through. As well as the experience of getting pregnant (which was unplanned and unintended) and now being pregnant… it makes “me” see in a deeper way than ever before that there is nothing to hold on to, that my “self” is a process and not a fixed entity, that I am not in control of anything, and that Life is just Life, always moving and changing and unfolding each moment as it comes. I still have strong emotions, and I have been crying often, but not identifying with the thoughts or emotions anymore. Much love and gratitude to you!!! EN: I am glad to read that, Michelle. I appreciate that you took the time with me here. Much love to you too, and best wishes! Motherhood is one of hell of an experience! What an amazing journey to motherhood with clear seeing! Previous Previous post: Home is where the body is.